Our Students are Anxious: Should We Help? At the beginning of this term, I was notified that I had a disabled student in one of my courses. Soon thereafter, the student approached me, quaking and with brimming eyes, to discuss her crippling anxiety. She told me there might be weeks at a time when she could not attend class and asked for accommodations, which I agreed to. Nevertheless, by the third week of the quarter, the student wrote me a heartbreaking e-mail, telling me she had to drop the course and perhaps drop out of our university entirely. Just this quarter I’ve had several other less dramatic incidents, all involving students’ anxiety. In my 20+ years of teaching, I have never experienced such a degree of student distress, and I find myself ping-ponging between empathy over their anguish and irritation when I wonder if I’m just witnessing another example of “generation snowflake.” But I always come back to the same conclusion: As a classroom instructor, I am on the front lines, and therefore I haveto do something. But what? In a recent article in The Chronicle of Higher Education discussing the subject, Brian Rosenberg, President of Macalester College, says it helps to consider our students’ life experiences. He examines the preponderance of fear and worry plaguing our students and offers some explanations for what many consider to be a lack of resilience. Today’s students, Rosenberg notes, grew up in a post 9-11 world where they have been instructed to be forever on the lookout for anything “suspicious.” They live in a world in which schools seem to be prime targets for maniacs with guns. They’ve seen our financial system collapse and have the sad distinction of being the first generation expected to be less well off than their parents. Likewise, many of our students are the first in their families to attend college, and once faced with the tasks of managing classes, homework, and jobs, find that they struggle just to eat and pay their rent, no less buy their books and study. And let’s not forget the never-ending posturing on social media these kids face. While every generation has to deal with issues unique to its time, there’s no denying this generation has a full plate. Many colleges have acknowledged students’ mental health needs by adding services, but often, they simply don’t have enough resources to handle all the students who need help, leaving us, their instructors, to deal with a level of stress and anxiety we have never seen, and for the most part, have not been trained to deal with. Student anxiety doesn’t look as though it is going away anytime soon. Below are some tips for helping them cope. Incorporate positive psychology into your classroom. In a nutshell, positive psychology focuses on what is right rather than what is wrong. In the classroom this can translate to instructors helping students move away from their fear of failure to the expectation of success through hard work. Instructors can also remember to comment on what students have done well on an assignment instead of marking only what was done wrong. Know Campus Resources. Often students are simply unaware of the resources available to them. By listing your campus resources for mental health, financial issues, food insecurity assistance, and tutoring, you can steer your students toward the help they need. Be flexible. It may be helpful to remember that mental illness is just that—an illness. Making reasonable accommodations can help a student achieve success. Understand signs of medication side-effects. That student yawning or late to class may be suffering the side-effects from psychotropic medications. Rather than assuming the student does not care about class or is being disrespectful, consider another scenario in which the student is doing his or her best to cope with a mental disability. In the end, of course, we are not mental health professionals. While we can certainly attempt to accommodate students who are experiencing anxiety, sometimes the best we can offer is a sympathetic ear. 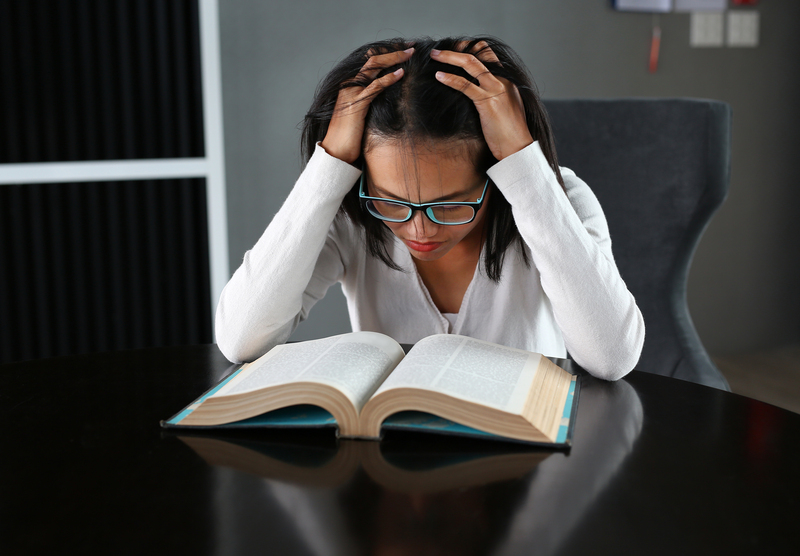 Have you experienced an uptick in students’ anxiety? Share your story. This entry was posted in 2. Featured Articles and tagged anxiety and college students on March 26, 2019 by bizcombuzz.